Metcheck.com - Weather News - Fresher From The North. It has been a warm and muggy night across southern parts of the British Isles with temperatures remaining in the high teens and that humid air mass hangs around today. However a weakening cold front is sinking slowly south-eastwards and this will bring fresher air, already across northern Britain, to most places by tomorrow. Today starts off on a cloudy and damp note across parts of Ireland, Northern Ireland, North Wales, northern England along with central and southern Scotland with some rain and drizzle around. To the south it is a bright start to the day with some sunny spells and it is also dry with sunny spells across the far north and west of Scotland this morning. 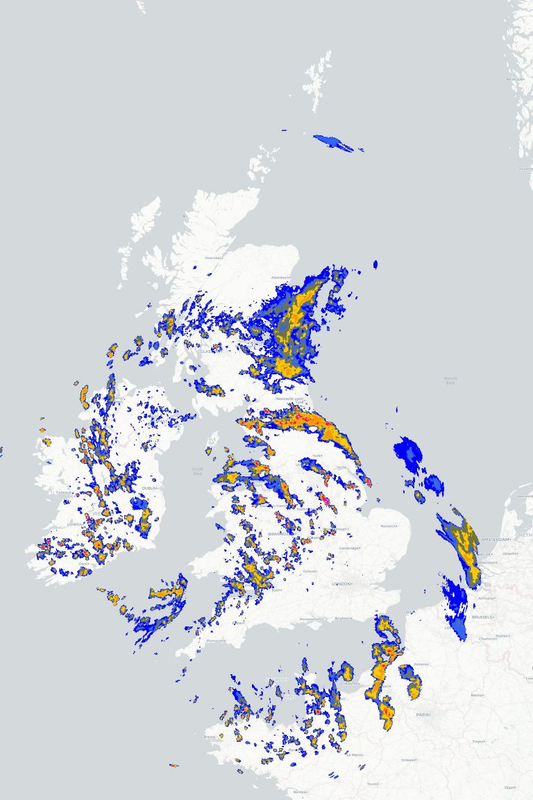 That band of cloud and patchy rain or drizzle will continue to sink south-eastwards today, reaching parts of southwest England and the Midlands by this evening, the rain mainly dying out by this point. To the southeast it remains fine with warm sunny spells and temperatures climbing to highs of 24°C to 27°C. 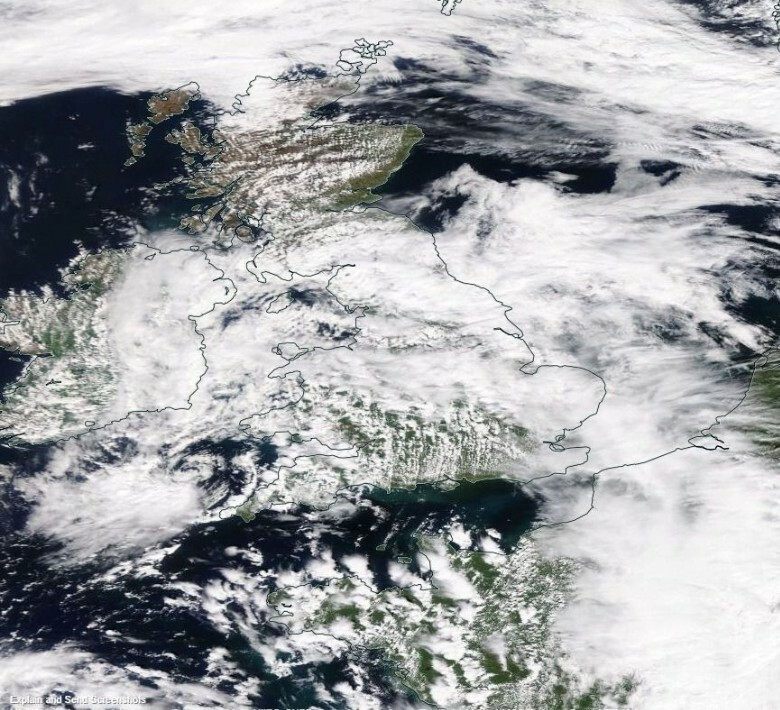 Meanwhile the clearer conditions across northern Scotland will follow that band of cloud to reach all of Scotland, Northern Ireland, the Republic of Ireland and northern England but showers will feed into the north and west on a cooler north-westerly breeze. The band of cloud clears southern counties tonight and many areas will then see a dry night with clear spells although showers will continue to affect parts of Scotland. It will be a cooler night in the south, but across northern regions minimums will drop well back into single figures. This takes us into a fresher feeling day tomorrow but with high pressure building in most places, away from the showery northeast, will be fine and settled with this high set to become increasingly dominant across the UK and Ireland in the days to come.